There are two ways this struggle tends to show up. The first way is the kind of classic indecisive behavior. You go back and forth over the options, overanalyze, make lists of pros and cons, and ask a million people for their opinions before you decide on something. The other way this struggle shows up is when you get impulsive. You want to get something locked down, so you decide too fast. Instead of asking a million people, you don’t even really ask yourself. As we grow spiritually, we begin to recognize that there’s a much better way. There is an intuitive approach to decision making that’s available to us all the time. All we have to do is tune in to it. Before we jump into the solutions, let’s make sure we have a good understanding of what blocks us from easily making decisions that we feel good about. Ultimately, the reason we struggle to make decisions easily and confidently is because we’ve cut ourselves off from the loving guidance of the Universe. No matter how deeply we meditate or how intently we pray, we can still feel disconnected from the Universe. So often our logical mind can get in the way of our intuition. We need to have a clear connection to the Universe in order to feel ease around decision making. When we don’t have that connection, we try to force an answer. When we put this kind of pressure on ourselves, we block intuitive messages and signs. We block the voice of inspiration that always has the perfect, divine answer of the highest good for all. So how do we know that we’re receiving divine, intuitive guidance and not a fearful, ego-minded message? This is a question I get asked at every single talk I give. It’s a very good one, because it’s essential to be able to distinguish between your ego and the voice of love. You might call that voice of love your inner guidance, your ~ing, your intuition. Or you might call it God, the Universe, Source, Spirit, love. As I always say, use whatever term resonates with you. So what’s the difference between the voice of the ego and the voice of love? The voice of the ego has an agenda. The voice of the ego has an expectation. It has a goal it isn’t willing to let go of, a set plan that involves you getting exactly what you want in the way that you expect to get it. The ego is the voice of fear and limitation. The ego is impatient. It wants an answer right away. In contrast, the voice of love, your intuition, is much more relaxed, receptive and released around time. This voice is very loving. It says, “Let’s be patient, let’s take our time and let’s allow an intuitive response to come forward.” Sometimes the voice of your intuition may not make logical sense, but it always feels good. Let me reiterate this point: The voice of your intuition might not always make logical sense. It may not always sound like the decision-making part of your mind. But it will always feel good. Knowing the difference between how you think you “should” think or act, and how you actually feel, is extremely important when it comes to easily making decisions that you feel good about. If you get caught up in the ego pretty often, just start to pay attention to it. Recognize when your ego is trying to force you to make decisions on the spot, or force you to ask for other people’s advice, or make you feel like you’re pressured in the decision-making process. The fearful, judgmental voice of the ego will give you a lot of anxiety around making decisions. This anxiety makes you unsure of yourself, and so you hem and haw or else you impulsively make a decision just to get it over with. When we make decisions from a place of Universal guidance, we don’t have to be anxious at all. We can be trusting and at ease. We can let go of the timeframe and the details, and trust in the Universe’s plan instead. Instead of blocking intuitive ideas, synchronicity, opportunities and abundance, we open up to all of it! We stop interfering and we allow the Universe to get to work. To start easily making decisions you feel good about, first you need to learn to give yourself some breathing room. Don’t feel like you have to make a decision right away. Of course, there are some instances where we have to be quick on your toes and make fast decisions. But most of the time you can give yourself at least 24 hours to make a decision. There is a lot of magic that can occur within 24 hours. In 24 hours you make room for miracles because you shift your energy and walk away from your ego’s agenda. You walk away from what you think you need to get done and you give yourself the freedom to just trust that there’s a plan that will unfold. In those 24 hours, you become more receptive and more relaxed. I suggest you turn to a simple prayer during this time. You can say this prayer many times if you need to: “I turn this over. I surrender this decision to the Universe and I welcome guidance.” Turn it over and let it go. When you surrender, you welcome change, possibility, guidance and inspired ideas. Just being in that prayer over a 24-hour period can completely transform your decision-making process by dissolving frantic energy. Frantic energy is the ego at work. It makes you feel crazy and it leads to wrong decisions. I’ve made decisions from an ego-driven place of frantic energy and I’ve seen many other people do it. For example, I’ve seen people impulsively quit their jobs because they feel enraged and resentful. Often it’s the case that they were meant to leave that job, but their situation would have been so much better if they’d given themselves a few months to put more money in the bank and get grounded. Give yourself at least 24 hours to make a decision whenever you can. This is an awesome tool from my book Miracles Now. It’s an example of what’s called applied kinesiology. This exercise is a way to get answers from your subconscious through muscle reactions. The idea here is that every muscle in your body either resists a decision or flows with it. Your brain might play tricks on you, but your muscles never lie. When you feel stuck about a decision, you can test your options against your muscle tension to see which direction your body actually agrees with. On your left hand, press the tips of your thumb and little finger together so they form a sort of O. Then insert the top sections of thumb and index finger of your right hand into the opening, and press them together. What results is a little chain link. Then pull the finger/thumb of your right hand against the fingers of your left hand. If the O separates easily, it means this choice makes you weak and your body doesn’t support it. This is a clear indication that your answer is a definite NO. If your left fingers stay tight together, the choice you’re making is a strong YES. This simple exercise can communicate so much. Trust that your muscles never lie. Your ego may resist the messages you receive, but do your best to trust what your body is telling you. The biggest thing you can do in order to easily make decisions that you feel good about is here is to stay connected to the Universe. 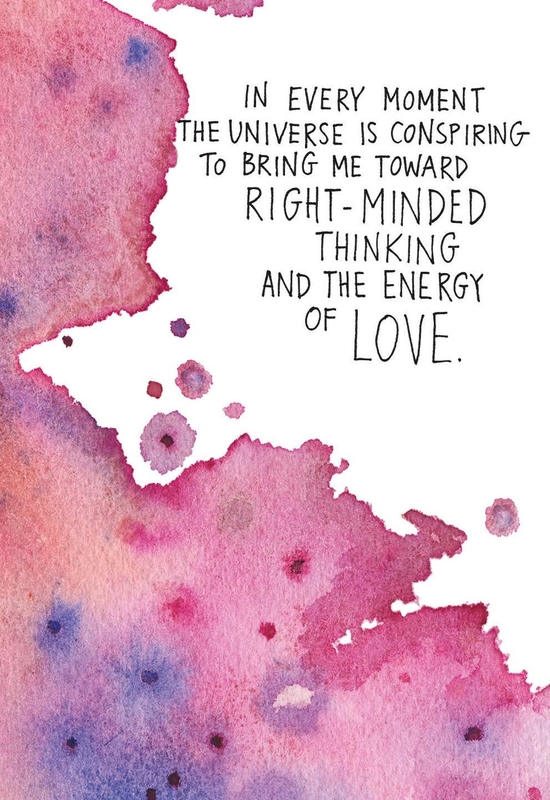 Consciously communicate with the Universe every day. We say often that prayer is when you ask and meditation is when you listen. Before you meditate, you can say a prayer like, “Thank you, Universe, for revealing to me exactly what I need to know in order to make this decision with ease.” And then sit in your meditation, relax and be centered. If you have a regular meditation practice you follow, then you can turn to that type of meditation. You can also just sit comfortably and pay attention to your breath or silently repeat a mantra. In your meditation you’ll begin to hear the voice of guidance come forward. It may be very loud or it may be soft. It may be an image, a sensation or a feeling. However your inner wisdom speaks to you is perfect. You’ll know it’s true because you don’t question the feeling. While your logical mind may question it, emotionally and physically you begin to feel a sense of grounding and a sense of truth. That is what matters. As you become more committed and consistent about connecting to the Universe, you won’t just have to tap into inspiration when you have a decision to make. You’ll be able to listen to that divine voice and be guided by it all the time! 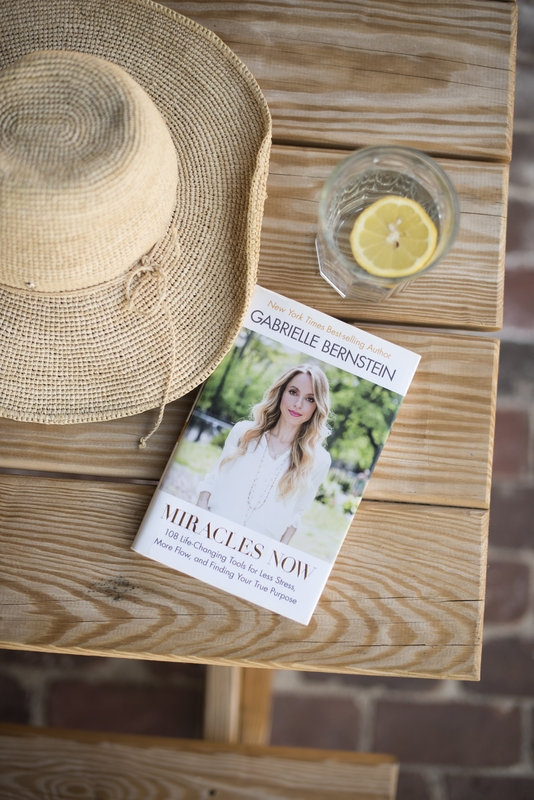 This is why I created my Miracle Membership — to make it easy for you to stay consistent on your spiritual path. If this sounds interesting to you, then check it out here! Wonderful, your practices are really practical and powerful. “I choose peace instead of this” affirmation has helped me so many times. Thanks. I continue to use it. Grateful you’re connecting with this work! This advice arrived exactly when I needed it (of course). This came at the right time I have an interview in the morning . I am less nervous know . I will surrender and believe everything happens for a reason . Can’t thank you enough for this. Very big day, and I was guided towards you, and “The Universe has your back”. So thank you, thank you!! Thanks Gabby great advice yet again. Oh wow! I will have to try the muscle technique when having to make a decision. Your muscles don’t lie, that’s for sure. What a great tip Gabby, I love everything you do. Thank you as always for your guidance and direction! This was right on time! I have a few important decisions to make & this will help me listen to my ing. Hi lovely Gabby, how hard do you need to push your fingers when doing the kinesiology test? Thanks for this post, so useful, so practical, so true. I once read that you are an Aries Moon, just like myself. At its lowest its an impulsive moon that uses frantic energy to make decisions quickly based on the ego wishes. At its highest we are born leaders 🙂 Love, Maria. This is so true. I have a problem with over analysing a lot of the time and asking people for their views too much. Yet so many of my best decisions have come from my intuition. 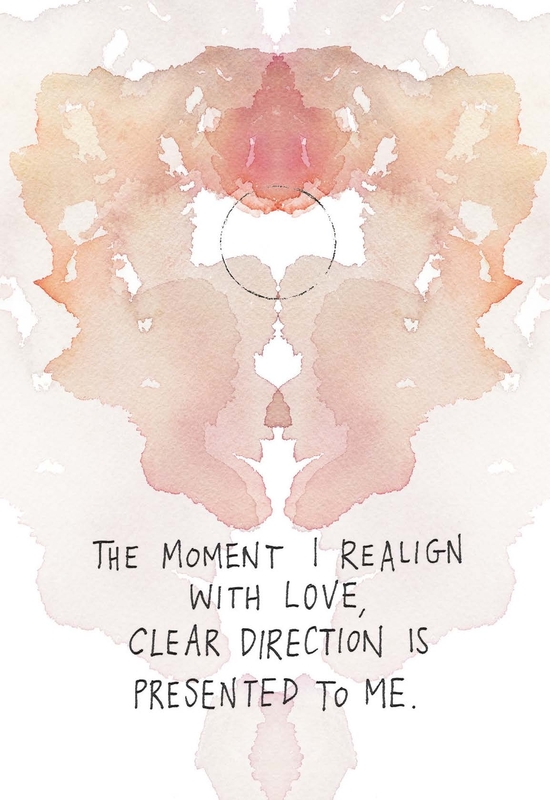 I find that after meditating, my mind clears of most of my overthinking clutter so to speak and then, I get to focus and hone in on my intuition better. Then it’s like the universe and myself have made the right call. I needed a reminder on this issue, as it’s easy to fall back in to my old ways of over thinking. Thanks for the great advice. About the O thing–what if I’m just muscling my way to make sure that it’s unbreakable? I always question this! Any guidance, Gabby?? Such a clear and useful blog post. Thankyou, as always perfect timing 😉 ! Thank-you for the lovely article Gabby. I often try to rely on intuition when making decisions but have difficulty releasing my impatience. What a lovely reminder that we can always surrender more when we think we have. Amazing things can happen when we “get out of the way” and surrender. Thanks for this article. What if you know what you have to do whether relationships, jobs, friends, etc but are too scared to make a wrong decision so you suffer through it (even when you know the answer but cant commit to it – after years and years of fearing the outcome with said relationships, jobs etc). Is there really such a thing as a wrong decision or just fear of making one period? I was just texting my friend how I had been thinking irrationally, and I pulled up Instagram and saw your post leading to this blog. I couldn’t decide if it was anxiety or true signs I was ignoring. I have a history of staying in abusive relationships past the point of when I should left. I am having trouble forgiving myself for staying all those years ago. This helped me realize that my worries in my current relationship are purely ego based. Thank you, Gabby. Love hearing this Jess! Thanks for showing up here. Big hugs! Thank you so much for this! I am at a major crossroads after being laid off from my job. Trying to decide if I want to move home to the city where I’m from or stay where I am. I’ve experienced much growth in my current location but I do miss home. I’m stuck…mentally. I tried the finger test and it’s not working! I’m sure I’m making it more complicated than it needs to be (naturally) but is there any trick to this? If you are left handed should you do the thumb and pinkie on right hand? I’m in the hallway!!! I used to be very indecisive in the past, but once I started applying the spiritual method of making decisions, everything changed. It has become so much easier for me to make quick decisions that feel good. What do you suggest to someone who has impulsively made a decision (left a job, declined an offer, acted out of resentment) and missed out on an opportunity and is now regretting it? When you pressure yourself into making a decision or act impulsively, it’s common to experience a feeling of regret. Acknowledge your feelings and also see what you can take away from it and be grateful for. That gratitude is a major part of your healing and moving in a new direction. this is exactly whay I needed to read today. Your name has been popping up a fair bit recently and I think it’s a sign that the universe is giving me to read your book! A quick question about the O kiniesology technique: I have been trying to decide whether to move back to Europe or stay in Australia. I’ve wanted to move back for a few years but now that I’m getting older, I can’t really be bothered moving my life back over again. I primarily wanted to move for career reasons but as I get older, the pull of family and stability here had become more appealing. so I tried the O technique and I wasn’t surprised when the muscle testing indicated to me that I don’t want to leave.. but then when I said my name is Mal and the O opened, I was quite perplexed because Mal really is my name! so it makes me think I haven’t done it right… how strongly should we be holding onto our thumb and pinky?